Most of the TV wall mounts found in the market today serve only a specific size and a specific weight. That is also reasonable, given the myriad of available TV products in the market today. Some prefer to get fixed TV wall mounts for large TV sets while others will buy a much smaller but more flexible TV wall mount. Generally, the smaller the TV wall mount, the more flexible it is and vice versa. The smaller mounts, while flexible, are not advisable for rooms where there is only one viewing perspective. The larger wall mounts, while sturdy, have a fixed place and are not also advisable for a location where there will be a lot of people watching and viewing at different angles. This TV wall mount is a perfect example of the larger variety. But before we proceed to the product itself, let us talk about Cheetah, the company. Cheetah is actually not a manufacturer, but a brand for an online retail company. The retailer is actually Altia products. They have their own factory where they make the necessary changes in design and improving their current products. Altia products have been selling and importing for more than nine years. They focus on paraphernalia for stable foundation like shelves, tripods and mounts. Altia products designed this wall mount to be similar to most other larger wall mounts. The Cheetah APTMM2B TV Wall Mount is considerably bigger than most small and medium TV wall mounts, and is perhaps the best example of the larger wall mounts in particular. It can take care of almost all the sizes in the market today, except for industrial ones that are larger than 75 inches. It is immensely sturdy. This is Altia Product’s bestseller for TV wall mounts, and for good reason. The Cheetah APTMM2B TV Wall Mount has a lot of features that may interest you. The APTMM2B design is uniquely universal. If you look at other brands, they only have a specific range of around 20 to 30 inches for the TV size they carry. This one can virtually mount all the TV sizes. 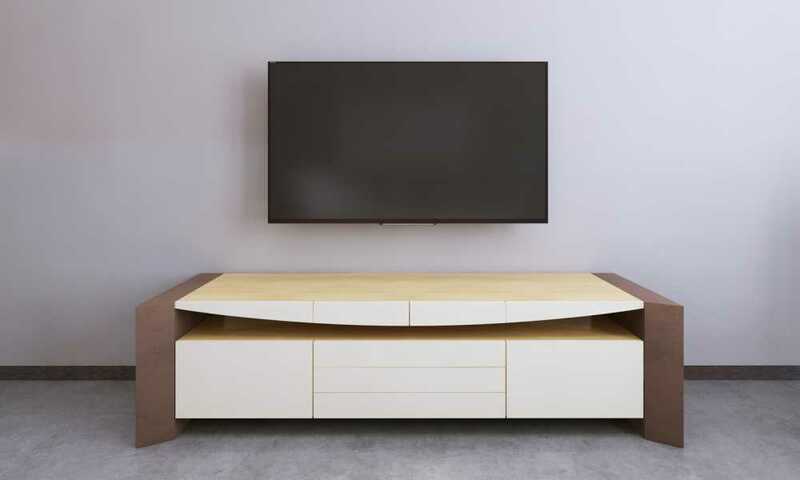 Due to the design, specifically the slim bracket, it can allow the two TV bracket arms to be moved to the preferred distance. It looks like a low profile or a fixed TV wall mount, but is actually a tilt mount. That comes as a big surprise since most TV wall mounts of this size cannot tilt at all. The structure gives enough space for the TV set’s rear to breathe; the distance between the wall itself and the attached TV set is more than an inch. This wall mount can carry up to 165 pounds. TV sets measuring 20-75 inches can be attached to this wall mount with no problems. The steel tabs that you use to attach the TV set to the base are slim yet immensely sturdy. The holes found in the TV wall mount tabs are not too big nor too small. They can fit the TV set’s screws perfectly. It is also considerably lighter compared to other TV wall mounts competing in the large market. The VESA standards found for the screw distance are for the 100 x 100, 200 x 200, 400 x 400 and 600 x 600 millimeters. Any combinations can also be done due to the universal design. It can tilt up to 10 degrees up or down. It can be attached to a wooden or even concrete stud. It uses two studs and can be used on the studs measuring 16 inches and 24 inches. Together with the TV wall mount itself, there is a Twisted Veins 10′ HDMI cable and a 6″ 3-axis Magnetic Bubble Level. This will help the cable and wiring management, especially since there is only 1 inch breathing space from the wall. It is only 17.1 x 4.6 x 2.6 inches. It only weighs 4.3 pounds. The measurement to weight capacity for this TV wall mount is second to none. It only weighs 4.3 pounds, but can carry 165 pounds. That means that for every pound of this durable wall mount, it can carry more than 38 pounds. That is immensely impressive. For its immense size, it can tilt and even rotate for just 3 degrees. Most of the fixed wall mounts cannot tilt or rotate. It can carry a large variety of sizes. The assembly is pretty straightforward, but can be quite complex if this is the first time you are assembling a TV wall mount. It has a lot of parts, so make sure that while assembling it, each part is accounted for. Once it is installed, it is immensely difficult to take it out. 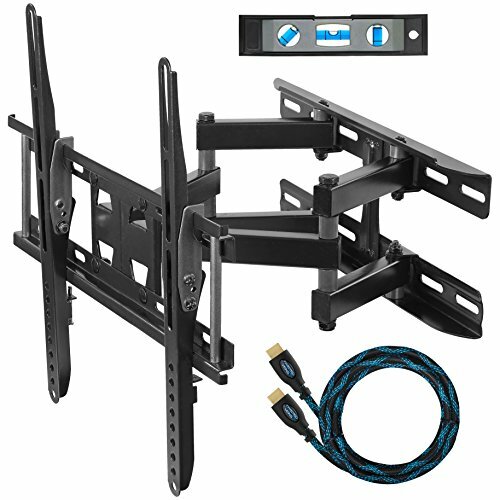 For those looking for a big wall mount for any kind of TV set, Cheetah APTMM2B TV Wall Mount is the right one for you! This is perfect for living rooms and other locations where there is only one viewing spot. It is immensely sturdy, just make sure you assembled it properly.